Today, a large number of companies still don’t have a strategic approach to social media. Others fail to calculate how effective they are at social media, one of the critical components of implementing any social media strategy. When companies start spending time and money on their social media efforts, they need to create an internal plan that everyone can understand. Maximize Your Social is a social media strategy book which offers a clear vision of what businesses need to do to create—and execute upon—their social media for business road map. Today, a large number of companies still don’t have a strategic approach to social media because they have not aligned business objectives with their approach to social media. Others fail to calculate how effective they are at social media, one of the critical components of implementing any social media strategy. When companies start spending time and money on their social media efforts, they need to create an internal plan that everyone can understand. Maximize Your Social offers a clear vision of what businesses need to do to create—and execute—a social media game plan. Maximize Your Social details the evolution of social media and explains the absolute necessity for creating a social media strategy. 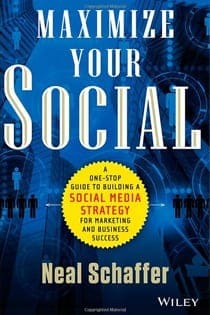 It outlines the preparation for, mechanics of, and maintenance of a successful social media strategy. This practical guide allows any business, big or small, to create and maintain its own social media strategy—no more paying agencies or hiring expensive consultants. You can master social media marketing strategies and save a chunk of your business’s budget while achieving more effective results. You know you need to do social better. The social media strategy book Maximize Your Social will help you prepare and maintain a profitable social media strategy. 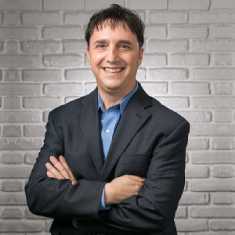 Follow author Neal Schaffer’s advice, and you’ll be able to do it yourself—and do it right.